Over the years we’ve tried a few different carriers to enable us to get out into the great outdoors. There’s nowhere we can’t go without our trusty slings. There are lots of advantages for baby and parent beyond accessibility, (hands free parenting, skin to skin contact, comfort for baby). For more information about carrying your baby or child in a sling see this helpful leaflet which highlights safety advice too. Here’s a summary of the ones we’ve tried and how we’ve got on with them. We started here, as a lot of people do. These are the most available carriers in the high street shops. Its a shame really as we found it uncomfortable (as did Eldest), and after looking into it further, it seems the position in these carriers is not great for baby. Developing hips benefit from being kept in that natural baby ‘M’ shape (did your babies sleep with froggy legs like this? Mine did). Those little hips are best flexed so they sit securely in the socket, rather than legs dangling, unsupported. And that usually means having baby facing in, rather than out front. Having said all that, a carrier like this started us out on our journey of using slings and it was better than nothing. If you have this type of carrier, check out this simple trick which shows you how to adapt it to get a better ‘seat’ for baby. This didn’t get used much in our house (or out of it to be more precise). 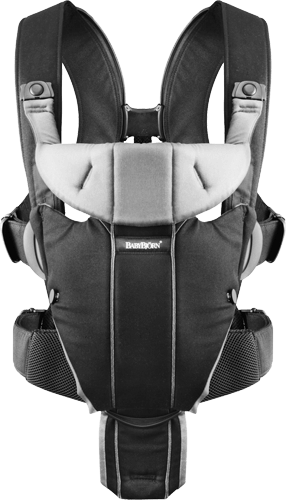 The good things about it: it’s easy to get your child in and out; there are stirrups for the child’s feet to make the sitting position more comfortable; built in carrying spaces mean that you don’t need to carry a separate bag. I found it tricky to get a comfortable fit and the weight distribution for me was all wrong – It didn’t hold the child close enough for me to feel well balanced. Getting it up and down from my back safely was a challenge, especially when out solo. It is BIG. I think we could count on one hand the times we used it. I’ve seen may people out with them though so others must find them easier than we did. 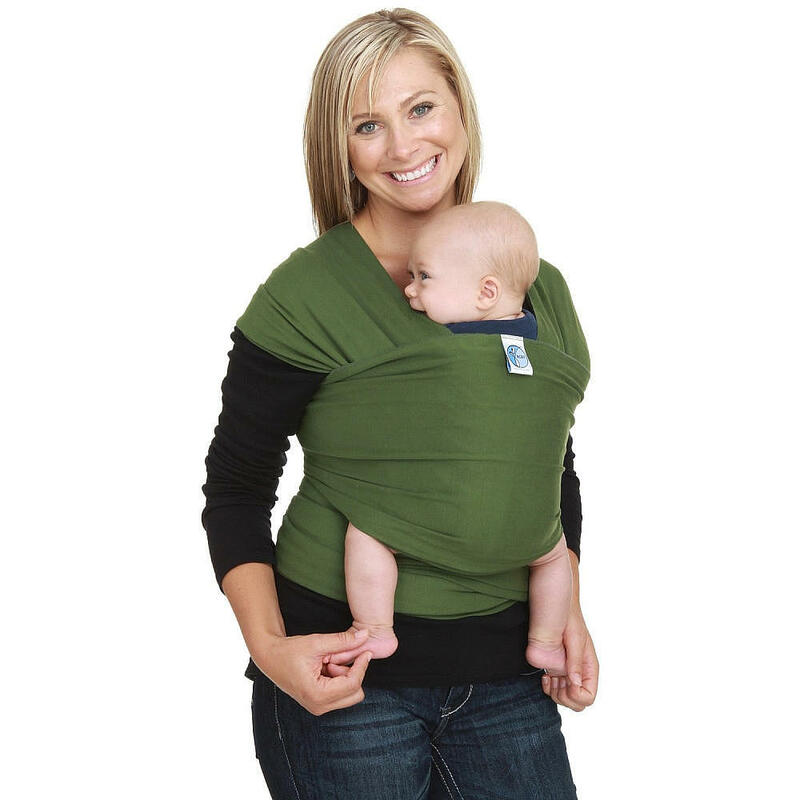 We got on best with the next 3 slings in the list – All of these hold the child close to your body, meaning less strain on your back and more balance for you (and usually a happy baby). The fabric can be spread from knee to knee and under the child’s bottom to create a comfortable and supportive sitting position in that ‘M’ shape I mentioned. We often used one or more of these day in day out; not just when out walking, but around the house, when shopping – any where we needed to go. With a toddler and a baby it certainly made life a lot easier. There’s lots of information on the web about these type of slings, here is a good place to start. 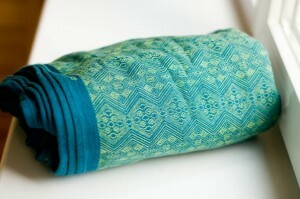 I was won over to fabric wraps when I started out with this type of sling. The stretchy fabric is great for little babies, it holds them firmly with but some give. As baby grows more support is needed so this is probably a sling for the first 6 months. There are different types of stretchy sling available. Mine was a wrap – a long piece of fabric – it takes a bit of practice feeling confident in wrapping it in all the right directions, but like anything, it does get easier. There are loads of how-to videos on you tube like this one. Once it’s tied you can pop baby in and out without untying – handy for car trips. Or there are pre-tied versions available such as the Close caboo which involve less fabric gymnastics. Beware – there is a whole world of fabric slings out there, too many to tempt you, and of course you need more than one, what about when it’s in the wash? Ok that’s just an excuse, you do probably only need one (at a time). Again, these hold baby close with a wide sitting position. The advantage of a woven sling is that baby can go on your back (unsafe with stretchy fabric), which gives more of a view of the world, and for me was a more comfortable carrying position. There are different types of woven slings available – a woven wrap (which is a long piece of fabric which can be tied in many different ways and is the most versatile), a ring sling (usually for one sided carries ) or a mei tei (a shaped piece of fabric with 4 straps). For walks I used a woven wrap. The plus points of this I’ve mostly mentioned; closeness. good position for baby. I found the wraps very comfortable, and there are so many different ways to wrap the fabric you can find a carry that works best for you. I also loved the bright colours available. The drawbacks were managing all that fabric when wrapping or unwrapping – fine when the ground is dry but if it’s muddy or wet it can be a challenge. I did learn way of managing this, but it’s not as straightforward as some of the other options. We are currently using a Tula and we love it. It’s ‘structured’ in that it has a padded belt and padded straps, much like a rucksack. There is a piece of fabric which holds the child against you and supports them in a wide sitting position. 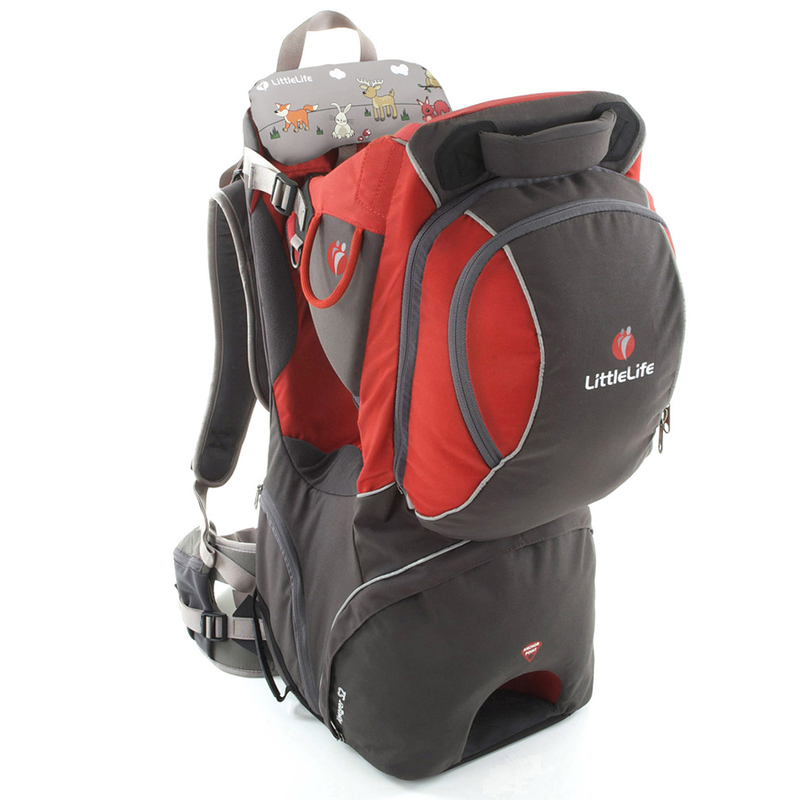 The tula fastens with buckles, and there are versions of this type of carrier that have fabric straps. Youngest is just 3 and so can be in and out of the carrier on walks. It’s easy to get her up and down and when she’s not in it it’s not big or bulky to carry. We still use a pushchair but enjoy the flexibility of slings. I’m pleased to see baby wearing becoming more and more popular in Cornwall. If you are in Cornwall, check out the local sling library.